Moosic, Pa. - There's something special about a pristine baseball field. Add kids to the scene and you have the storybook home run. 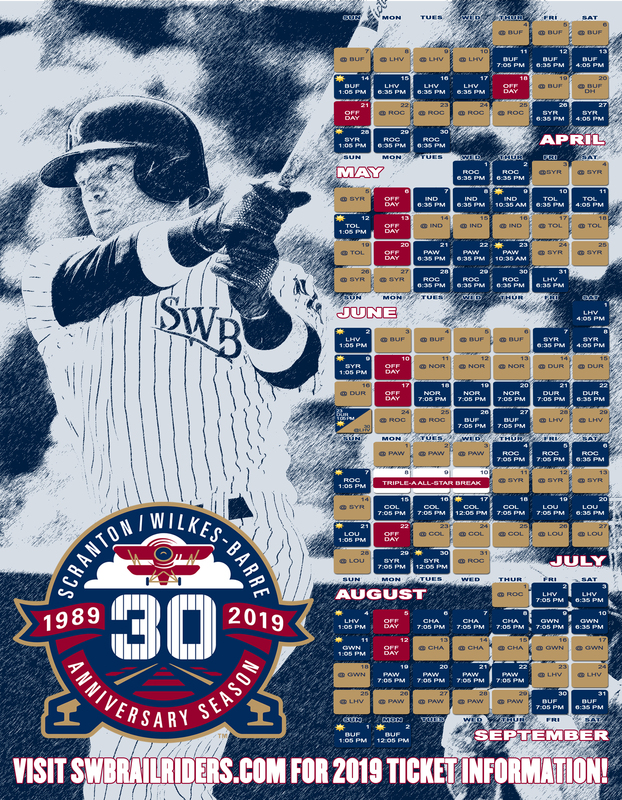 The Scranton/Wilkes-Barre RailRiders (Triple-A/New York Yankees) hope to help area youth enjoy America's pastime by renovating three fields as part of their Adopt-a-Field Program in 2015. Two youth softball or baseball fields and one high school field will receive a renovation. Fans can send photos of their field to the RailRiders and write as to why they should be selected. Field nominations should be sent to the RailRiders' community relations director Rachel Mark (rmark@swbrailriders.com). Submitted fields must be within 30 miles of PNC Field. This year the RailRiders are proud to partner with Pro's Choice and Fisher and Son who will graciously donate the materials needed for the renovation of the three fields. Submissions are due by 11:59 p.m. on Sunday, March 29. Fans will be able to vote on the fields on the RailRiders' website starting at noon on Monday, March 30. Links to the voting page will be available through social media and the RailRiders' website. Website voting will end at 9 p.m. on Sunday, April 5, and the winners will be announced on Monday, April 6. The first renovation is planned for April 16. "This is a great opportunity to provide those maintaining local fields with the knowledge needed to maintain a safe and beautiful playing surface," said the team's director of field operations, Steve Horne. "Many leagues don't have the tools, manpower or guidance needed to keep their fields in good shape. Hopefully, after our crew comes in to help get them started, we can develop a plan that will benefit the leagues and their players for years to come."